Last year, 451 Research released a report that indicated by 2019 60 percent of IT workloads will run in the cloud. In the past year, we have seen a significant shift from cloud as a method of finding cost savings to cloud as a transformative platform for driving business growth. The message from cloud providers used to be focused on the economics - move to the cloud to shift from capital expenditures to operating expenditures and lower your Total Cost of Ownership. We see now that the value isn't necessarily in potential cost savings, but in how we enable our customers to be fast and agile while protecting their most important currency - their data. Looking forward, 2019 will present a new set of challenges for many organizations in their cloud journey, and an opportunity for cloud providers to partner with their customers in new ways. According to IDC, by 2020, more than 90 percent of enterprises will use multiple cloud services and platforms. Most organizations began as multi-cloud as a result of shadow IT and a lack of oversight and visibility into cloud procurement and management. Going forward, it will be a purposeful strategy. The public cloud isn't a one-size-fits-all solution, and even as organizations choose a strategic cloud partner to host a majority of their applications, they will find better fits for some of their legacy workloads elsewhere. IT leaders will be challenged with evaluating, procuring, and managing multiple cloud platforms, and delivering a seamless cloud experience to their end users. Net neutrality: A year later, cloud providers will continue to wrestle with maintaining an open and free Internet for their customers. In 2019, there will be even more emphasis on preserving the freedom of what users want to see, when they want to see it, and how much they're going to pay for it. CLOUD Act: Data sovereignty will not only affect Europe but will hit close to home on U.S. soil as well. In 2019, as the emphasis on the security of customer data spreads, we'll see data sovereignty become a global issue that businesses worldwide will have to cope with (e.g. the California Privacy Act). Data protection and uptime will continue be a priority to businesses of all sizes. Disaster Recovery has largely been a reactive exercise, but many more organizations will find a proactive stance necessary to protect their business. IT leaders will look to host their data in a minimum of two locations with significant distance between them, and disaster recovery will expand outside the data center to establish true redundancy and IT continuity. For many, their solution will be cloud-based Disaster-Recovery-as-a-Service (DRaaS). Recovery time objective (RTO) and recovery point objective (RPO) requirements will continue to drop as the pace of doing business speeds up. In 2019, the fundamental question will shift from, "How do I protect my business in case of an emergency?" to, "How do I ensure continuous availability of my data and applications?" In the coming year, IaaS providers will find new ways to cater to mid-market and even small business market use cases, enabling businesses both large and small to take full advantage of the cloud, meeting and eventually exceeding 451 Research's forecast. The multi-cloud will continue to grow. Businesses worldwide will need to adjust their IT strategy to accommodate the latest legislation. And data centers will transition from a mindset of recovery to resilience. With these trends in motion, 2019 will be another year of significant growth in the cloud market. 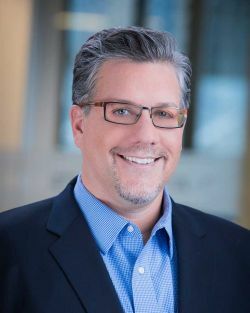 Brian Kuhn is a member of the OVH executive team, serving as the Chief Digital Officer and Acting General Manager for OVH US. Brian shares joint responsibility with his French counterparts to develop and debut the OVHcloud brand for global availability -- prioritizing customer experience and delivering OVH infrastructure and cloud solutions that effectively meet customer needs. His tenure with industry giants including YP, AT&T, eBay, Palm, and HP led him to building brand experiences for millions of users and managing critical Fortune 100 customer relationships. Brian has built product and marketing organizations that scaled quickly to put customer needs at the forefront of the business.